Your Can't Ignore It So Control It! 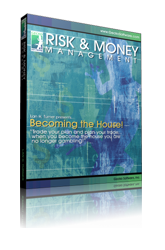 Many traders fail to adhere to simple concepts of risk and money management. Through this video course, you'll watch examples of risk management, calculations and concepts. Learn as Lan Turner, reveals how some professional traders manage their risk. Course will be electronically delivered.